DealSiftr integrates with your phone’s GPS to sift through deals and only present local offers that fit your personal profile. 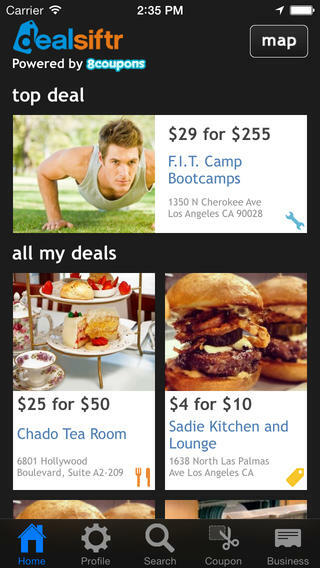 Every deal can be redeemed straight from your phone. 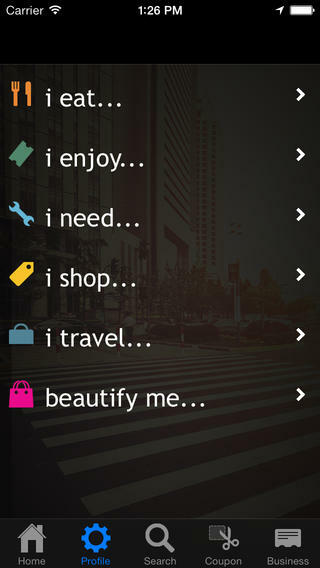 Use DealSiftr to find bargains for the best places to eat, best stores to shop, and best things to do in your area. Ready to start receiving personalized deals and coupons just for you? Download on the Apple App Store today!